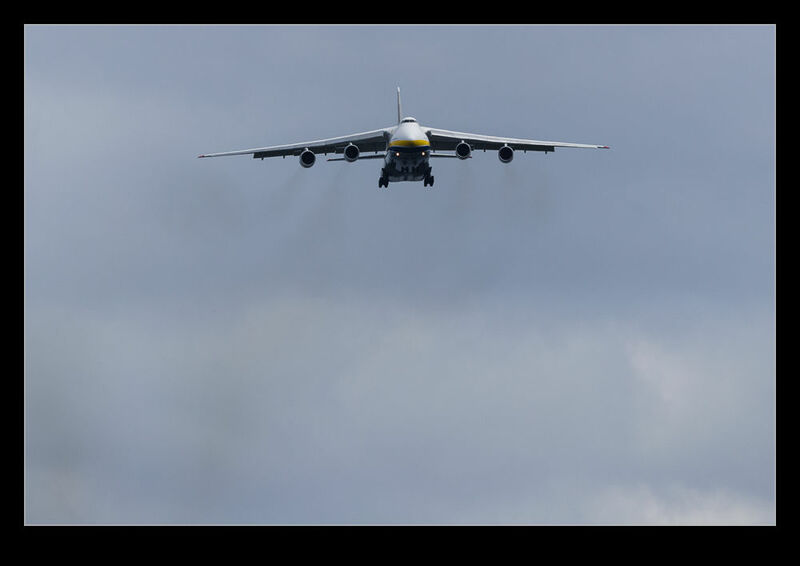 There have been quite a few appearances of Antonov AN124s on this blog. They all have something in common. They were operated by Volga Dnepr. There is another operator that I have not had much success seeing. 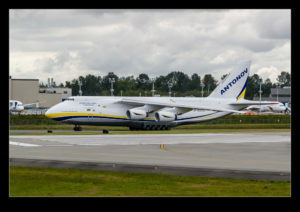 That is Antonov Design Bureau. They never seem to be operating near to me. That was why I was so pleased when one was scheduled in to Everett. I was taking a week off work anyway so no reason not to go. 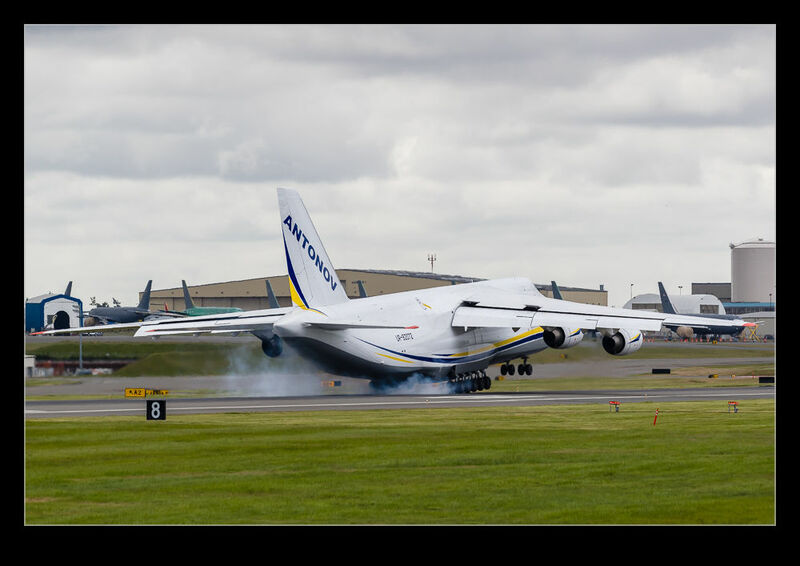 The weather wasn’t great but how many chances would I get for an ADB AN124? 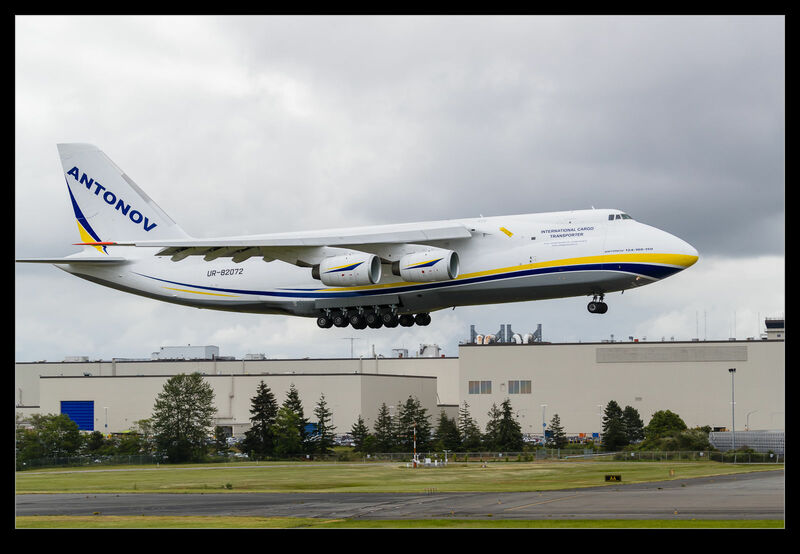 A genuine Antonov Antonov. Time to go. They were arriving from the north and it was morning so the only option was Future of Flight which wouldn’t normally be good for a morning flight. However, with a grotty overcast, sun on the wrong side wasn’t going to be such a problem. There was a bit of a breeze from our side of the runway so the early approach looked like they were coming straight for us. They floated down the approach and touchdown of all of those wheels resulted in plenty of smoke. Then they taxied back to the Boeing ramp (after some confusion with air traffic) and shut down. 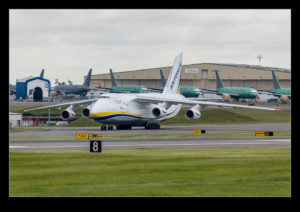 This entry was posted in aircraft, civil, Pacific Northwest, photo and tagged aircraft, airplane, AN124s, antonov, Antonov design bureau, cargo, civil, Everett, freighter, jet, kpae, Paine Field, photo, ruslan, washington. Bookmark the permalink.